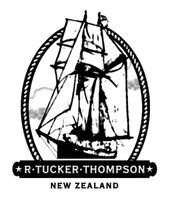 It’s not every year that a ship wins the sailor of the year, but then the R. Tucker Thompson is no ordinary ship! 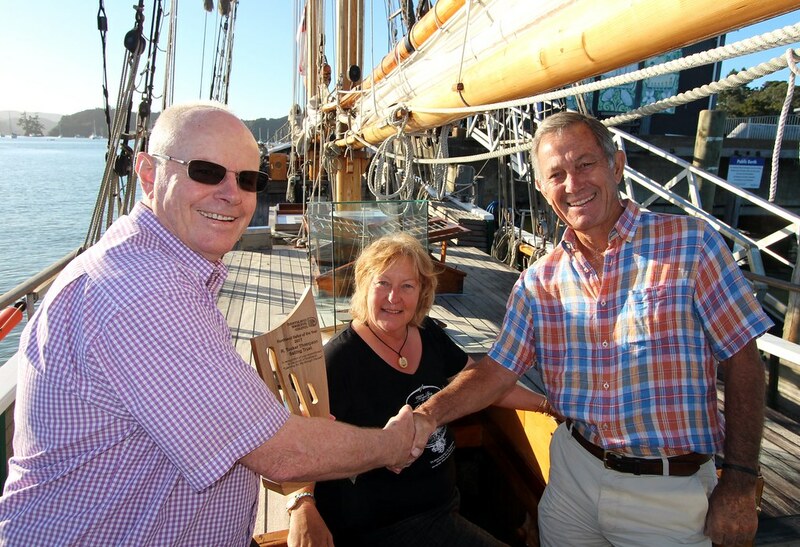 In March the Trust and Trustees were awarded the Northland Regional Council’s Sailor of the Year award by Council Chair Bill Shepherd. Accepting it on behalf of the Trust was Trustee Mike Simm and Executive Trustee Jane Hindle. The award was made in recognition of the work the Trust does with the young people of the Te Tai Tokerau Northland region, providing them with leadership skills, personal development, confidence and teambuilding. Since the Trust was established, over 1300 young people have taken part on our youth development voyages. These are funded through our tourism sailings which operate between the end October and Easter every year. We are proud to be a key part of the region’s assets both in terms of our Qualmark Gold endorsed tourism product and as a significant player for the benefit of our young people. If you wish to support our work, please consider sailing with us, or sponsoring a youngster. It is the first time the trophy has been awarded since master Far North waka builder and traditional navigator Hekenukumai Puhipi (Hector Busby) was named the Northland Sailor of the Year for 2012.